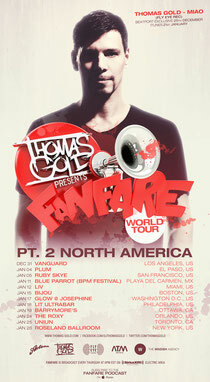 Hot off his Radio 1 Essential Mix, Thomas Gold announces a return to North America in January 2013 for an entire month of dates on his Fanfare World Tour. 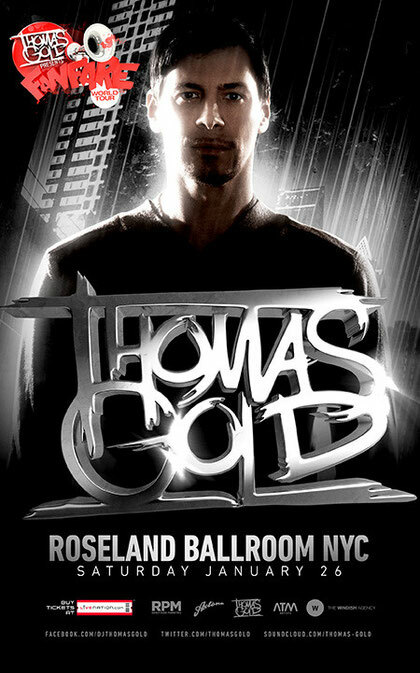 Thomas will ring in the New Year in Los Angeles at Vanguard before heading out across the USA and Canada. Capping it all off is a gig at New York’s famed Roseland Ballroom on January 26, with tickets going on sale today.